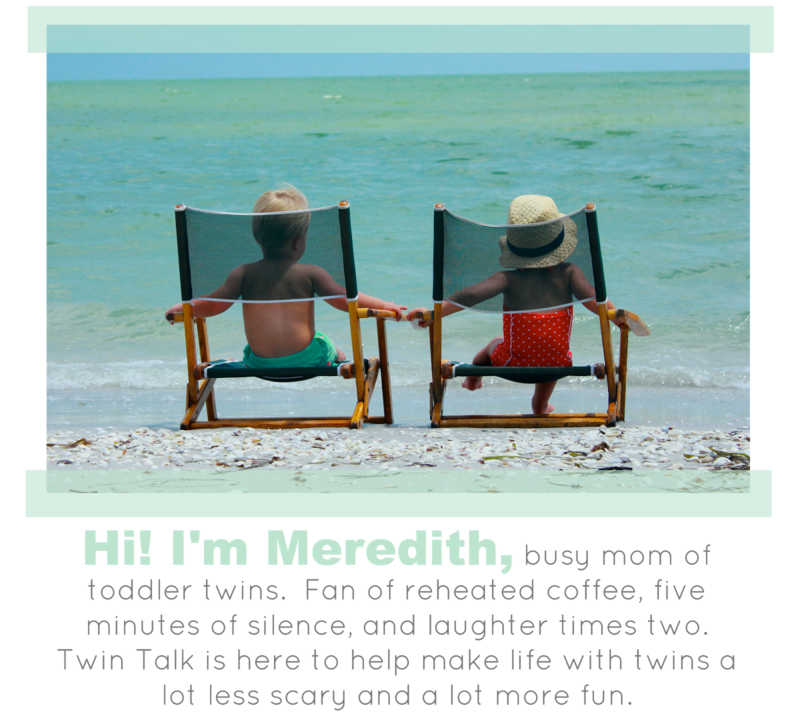 If you'd like to contribute your own twin birth story, CLICK HERE to fill out the questionnaire! Any issues during your pregnancy? I had a pretty wonderful pregnancy as far as health goes (other than having morning sickness until the day I delivered). Memorable/funny moment when you were pregnant: The day we found out that I was expecting was one of the most memorable. We had been trying for five years and were pretty much in shock! I texted my husband from the bathroom and told him to come inside and when he did he found me crying and his heart just sank, then I looked up and told him I was pregnant and we both cried for a while! Then I took two more first response tests and a digital EPT - I just needed to see that word to be sure! Looking back, what is one thing you would tell your pregnant self? SLEEP! And relax, after trying for so long and finally becoming pregnant I worried about everything! If I missed a vitamin, if a cat walked by, if someone was smoking in the parking lot at the store I would get so upset! Stay off google! Are your twins identical? Fraternal. Did you have a c-section or natural delivery? From the very beginning I wanted natural if at all possible, my doctor agreed and said if baby A was head down and everything progressed normally he would deliver her and then just grab B's feet! When we went into pre-term labor three days prior she was head up but the day I delivered she had turned. I delivered baby A and 14 very long minutes later baby B came screaming into the world! Any NICU time? If yes, for what reason and how long? Yes because they were seven weeks premature. They both stayed three weeks just to learn to eat, gain weight and be able to keep their body temp up. Did you have any complications after delivery? No, I was up going to the NICU that night and went home two days later. I traveled to the hospital twice a day for the next three weeks to see my babies! How long did you stay in the hospital? I was there for three days and they were able to stop the labor and send me home on procardia on a Monday afternoon dilated to 2 cm. I was back in the hospital at 4am the next morning dilated to 6 cm and although they started magnesium again (which is horrible) these babies were coming! We left home in a big hurry so I didn't have hardly anything with me, which was ok because you really don't need all of the things people put on bag packing lists! Between nurses and visitors, who has time to read books or magazines? My three must haves: 1.Chapstick - it is so dry in the hospital I would have died without it! 2. Boppy pillow - even though the twins were in the NICU this was a lifesaver, especially if you breastfeed. 3. Bath and body works no slip shea butter infused socks, keep your feet warm and are great when you may be a bit unsteady on your feet. Let me just add a fourth: Depends underwear, those little mesh things aren't for everyone and that supersize pad is a bit hard to fit in there it and the ice packs fit great in the depends and are much more comfortable. They are great for going home too! Describe one of your favorite moments while you were at the hospital: The birth was a bit hectic and crazy with so many nurses and doctors in one tiny room, plus my mom and mother in law. We had been given some scary possible outcomes such as them not being able to breathe on their own etc. But the moment baby Addy came out crying it was as if time just stopped. My husband and I just looked at each other with joyful tears in our eyes! And again with Eden who was screaming! When the neonatologist held her to me I kissed her cheek and for a moment she stopped crying. By the Grace of God the babies were perfectly healthy, just tiny! If you had one piece of advice you could give an expecting mom of twins, what would it be? Relax and get lots of rest. Don't refuse help when it is offered and don't be scared to ask if it's not! I tried to do too much on my own and I believe that's what caused my early labor! I was cleaning that day getting ready for guests and hurting pretty bad but had no idea it was labor. If I had it to do over I would have just slept!